Hello guys, In this post we are discussing about new Volkswagen polo ,service and maintenance cost. The Volkswagen polo is a car which is produced by German manufacturer since 1975. This car are sold in Europe and then car catch popularity, After that polo is selling many country in the world.In india this car is loved by many people, polo is know for there build quality and engine performance ,No one company can match the performance of Volkswagen polo.New Volkswagen polo is powered by 1.5litres 16 valves TDI (turbo direct injection) and have 1498cc engine displacement. Apart from that, car generates 08.5bhp@4400rpm max power and 250nm@1500-2500rpm max torque, this car have 5 speed transmission gearbox and car have 45liter fuel storage capacity. 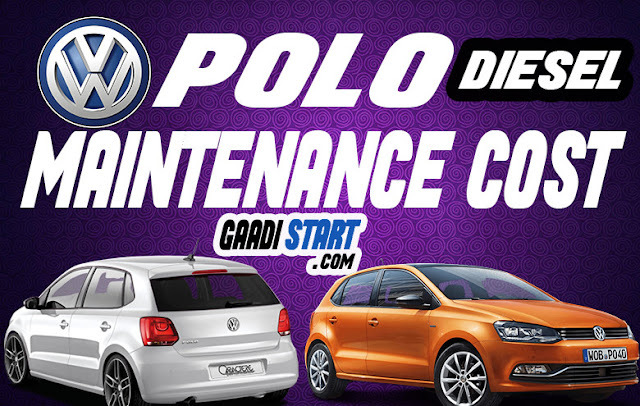 The polo is also among the top selling cars in india. This car claims 21.49kmpl millage in diesel engine option by ARAI.